The Life of a Father of Five: I dont know how to title this post. I dont know how to title this post. It's either "The End of an Era" or "Man, do I feel Old". 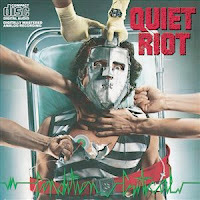 You see, I heard today that Kevin DuBrow (former lead Singer of Quiet Riot) died today. 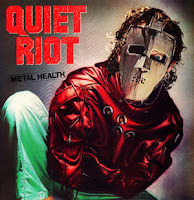 Quiet Riot's Metal Health was the very first album I bought with my own money, and the Condition Critial Tour was the very first concert I ever attended. 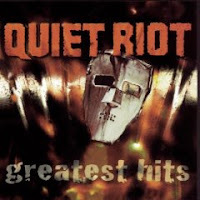 Many years later I purchased (out of nestalgia) the Quiet Riot Greatest Hits CD. Kevin, I want to thank you for being a memorable and inspirational introduction to music in my life. I often wonder what happens to rock bands when their fame runs out. 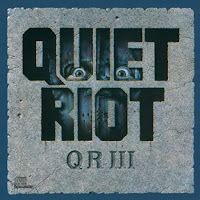 I know in the early 90's Quiet Riot played a concert in a small South Dakota town, close to my school. That's a pretty big slide. It's still cool to Feel The Noize though. More to follow? When exactly would that be?? When will I catch a break?